There's a massive chill out there today. And, based off the rest of this week's forecast (and that weather warning kicking off tonight), it's not looking like it's going to get warmer any time soon. All of that crisp, wintry weather means plenty of days and nights curled up with mugs of hot chocolate; roaring log fires and of course some new bits for your wardrobe. 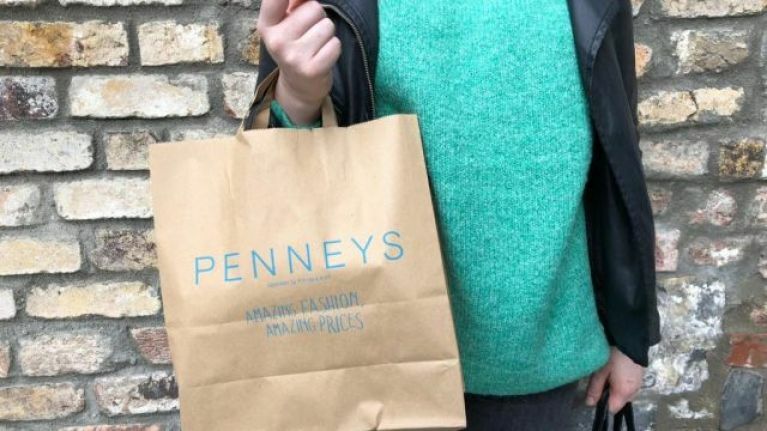 Which is why we were particularly excited when we saw this comfy, multi-coloured jumper pop up on Primark's official Instagram account on Tuesday. The oversized jumper features multi-coloured stripes along the body, with black-and-white stripes along the sleeves. Fans have been going wild for the comfy knit ever since it was shared on the retailer's official Instagram and we can see why - after all, how cute would this look with a pair of skinny jeans and black leather boots? At just €18, we can definitely see it becoming a wardrobe staple for the upcoming wintry weeks ahead. If you're looking for more bits to update your wardrobe, don't worry - we've got you covered. There's this fab €18 polka dot jumpsuit that we just KNOW will be everywhere on Instagram this season. And this gorgeous €14 floral dress that will give your wardrobe an instant refresh for spring.